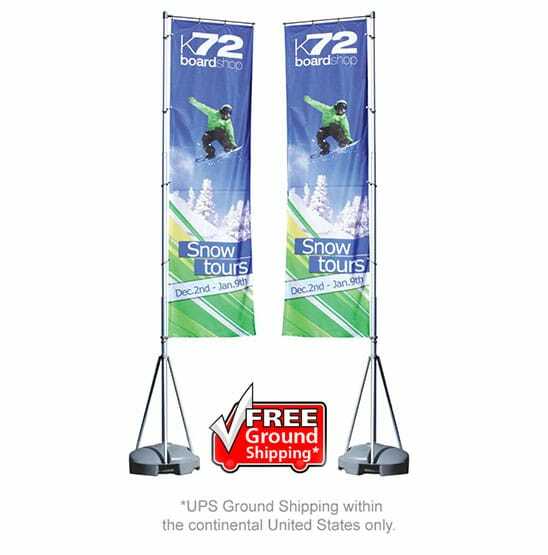 At Sequoia Signs and Graphics, we specialize in all kinds of sign products and services, including wind sail and pole banner signs. These signs are common at places like automotive dealerships, restaurants, and grand opening sales. 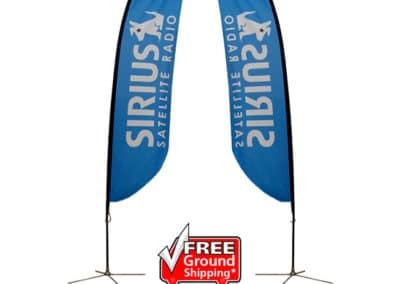 You can see examples of these banner signs in the images below. 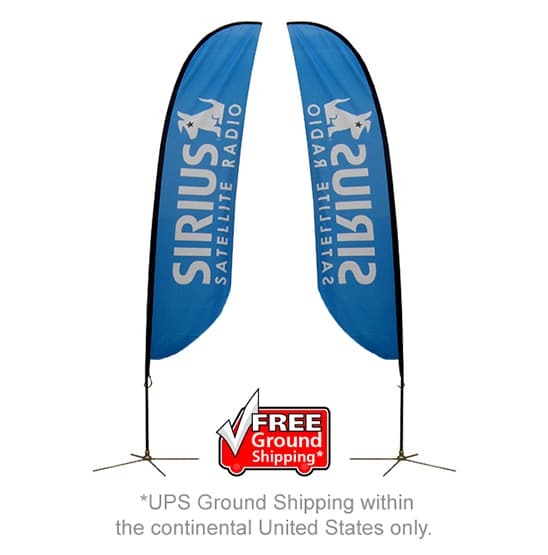 These signs are also commonly referred to as feather banner signs. One advantage of these signs is they are low cost and easy to transport. 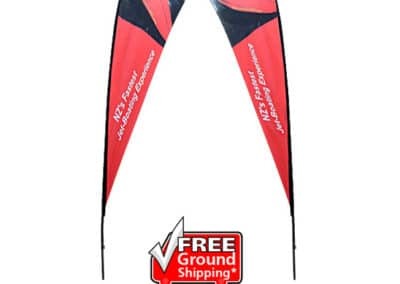 They are typically comprised of a metal stake that is driven into the ground, with which the poll and wind sail component is attached to afterward. 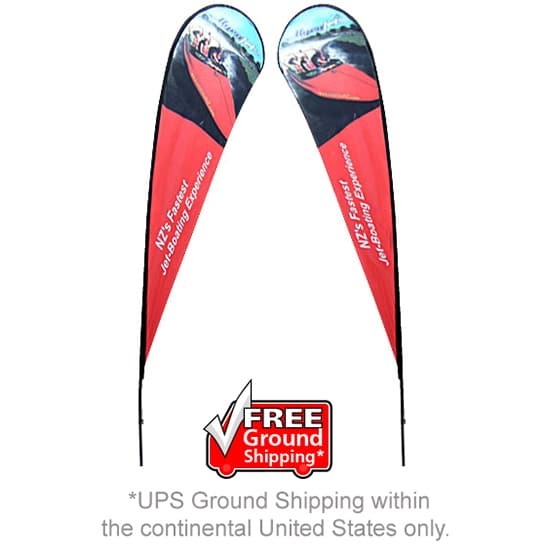 If you have any questions about wind sail and pole banner signs, we would be more than happy to sit down with you and show you some of our products and samples. 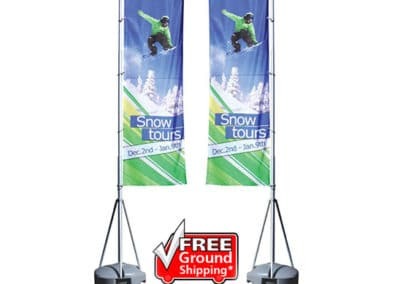 One way to create a lot of impact on a very small budget is with multiple wind sail and pole banner signs. These signs are fairly tall and create movement and the wind, which makes it a pretty noticeable sign. However, installing four more of these feather banner signs along your storefront is a way to get a lot more impact. Fill out the form in the sidebar to the right you have any questions would like a free quote.